Watch the Video Yes. Dedicated Nexternal Account Manager. Unlimited support. Forums, email and/or paid phone support. Watch the Video Yes. Create UPS, FedEx, USPS, or DHL labels from Order Management System. Not Available within Actinic Application. Watch the Video Yes. The zoom works well on both traditional and tablet computers. Yes. Completely Web Based Application Yes. Can be accessed from anywhere. No. Actinic is accessed from the merchant's computer. Product Reviews & Ratings Yes. With Automated Review Reminders. Must purhase add-on module. Managed Hosted Solution Yes. Nexternal manages security, redundancy, backups, etc. Actinic can be hosted by a third party or by Actinic. Software Upgrades Yes. Nexternal manages software upgrades. Merchant is responsible for installing software upgrades. 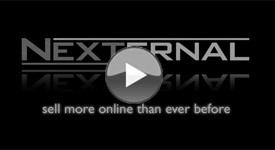 SSL Certificate Included - Use Nexternal.com Certificate. Additional Cost. Multiple Ship To Customers can place one order and ship items to multiple locations. Actinic does not support multiple ship to locations. Supports In Store Pickup Yes. No. Comparison Shopping Marketplace Feeds Generated and uploaded automatically daily. Available through 3rd Party Plugins. McAfee SECURE Yes. Scanned daily. Merchants can display badge. Not included. Real Time Rates Available with UPS, USPS, FedEx, and DHL Available with UPS and USPS Only. Admin Access Levels 7 levels of access. 3 access levels. Support for Inventory Kits or Product Bundles Yes. Yes. Actinic is a Trademark of Actinic Software Ltd. The Actinic comparison information on this page was believed to be correct as of . Information was collected from Actinic's website (www.actinic.com) in order to compare it to Nexternal's shopping cart application. To report an error or discrepancy, please email .